As one of the “Saturday Matinee” series of musical presentations for U3A Hawthorn members, to which both the Orchestra and the Choir contribute, the Choir will present a selection of well-known classics, Broadway melodies, folk and traditional songs. The venue is the Hall at our Sinclair Avenue Campus. The performance will commence at 2:30pm, run for some 45 to 50 minutes and be followed by light refreshments. 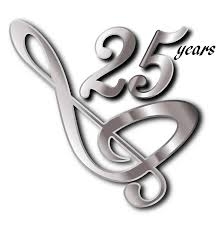 The Choir’s Mid-Year Concert, “Movies, Musicals and Miscellany”, will be presented from 2:30pm on Sunday, 23rd June, at the Camberwell Baptist Church in Riversdale Road, just west of Camberwell Junction. As the concert title implies, favourite songs from movies and stage musicals will form the core of the program, but the audience can also expect to be delighted by other surprise offerings, including some country & western and patriotic items. The concert will be open to U3A Hawthorn members, their families and friends, and the general public. Admission, payable at the door on the day, is $10 per head for adults and free for children under 12. Check out the U3A Hawthorn channel on YouTube where you can see videos of the Choir in concert.